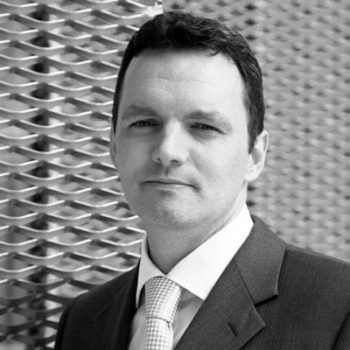 Aled Jones is the inaugural Director of the Global Sustainability Institute (GSI) at Anglia Ruskin University. His work in climate finance has been recognised by the State of California and he has received a key to the city of North Little Rock, Arkansas. In 2015, Aled received the highly commended award for the Green Gown Sustainability Professional of the year. Aled’s research particularly focuses on the finance sector and government and how they will respond to the impacts of global resource trends and climate change. He was lead author on the seminal report on resource constraints to the Actuarial Profession in 2013. He is now leading a team to build a global systems dynamic model and agent based model to explore political fragility from resource crisis. Aled is a member of the UK-US Taskforce on the Impact of Extreme Weather on US/UK Food Security. He chaired a working group on climate finance within the Capital Markets Climate Initiative (CMCI) on behalf of Greg Barker, the Minister for Climate Change in the UK Department for Energy and Climate Change (DECC). Aled has published numerous academic papers. He is a Fellow of the Higher Education Academy and Institute of Mathematics and its Applications and elected member of the advisory group for the Environmental Association for Universities and Colleges. Until 2014 he was regional treasurer and Fellow of the Royal Society of Arts. He is a board member of Sustainability East and chairs the East of England Alliance for Sustainability on their behalf. Aled was previously the Deputy Director at the University of Cambridge Programme for Sustainability Leadership, HRH Prince of Wales’s Corporate Leaders Group on Climate Change and was Director of the Chevening Economics of Climate Change Programme (for the UK Foreign and Commonwealth Office). He has a PhD from the University of Cambridge.